Average to moist soil. Enjoys high organic matter content. Shade beds and woodland plantings. Larvae food for butterflies. Easy. 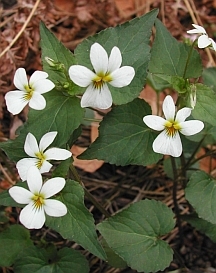 Like most violets this will readily self sow but seedlings are fairly easy to remove. Lovely and fragrant. Exceptional for naturalizing a shady area.